Milton, Mass. – There was no secret where the football was going. Both sidelines, the officials, and the full house in attendance at Brooks Feld in Milton had seen Needham star playmaker Matt Smith dominate for most of the second half. So, with the game down to one final play the Wildcats were ready for what was to come. 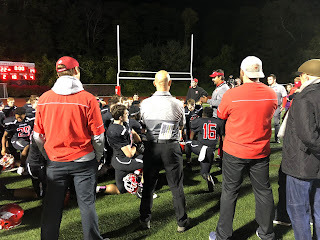 On fourth and goal from the six-yard line and 45 seconds left, Rockets quarterback Charlie Ogletree lofted a jump ball to Smith only for a pair of Wildcat defensive backs to swat it out of bounds as Milton moved into sole possession of first place in the Bay State Herget with a 22-14 win over No. 5 Needham on Friday night. Isaiah Woodley caught a pair of touchdown passes while Stephen Joyce forced a pair of turnovers for Milton. Smith Charles also intercepted an Olgetree (315 yards, 2 TDs) pass in the back of the endzone. Smith, meanwhile, finished with eight catches for 204 yards and pair of scores. Needham led 7-6 to begin the second half, but failed to convert on a fourth and 7 on their opening drive setting up a 28 yard field goal from Max Winkler that pushed the Wildcats in front, 9-7. Milton then gained some breathing room later in the frame when a punt went of the leg of a Rockets returner and was recovered in the end zone by Tyreece Weeks to give Milton a 16-7 lead. 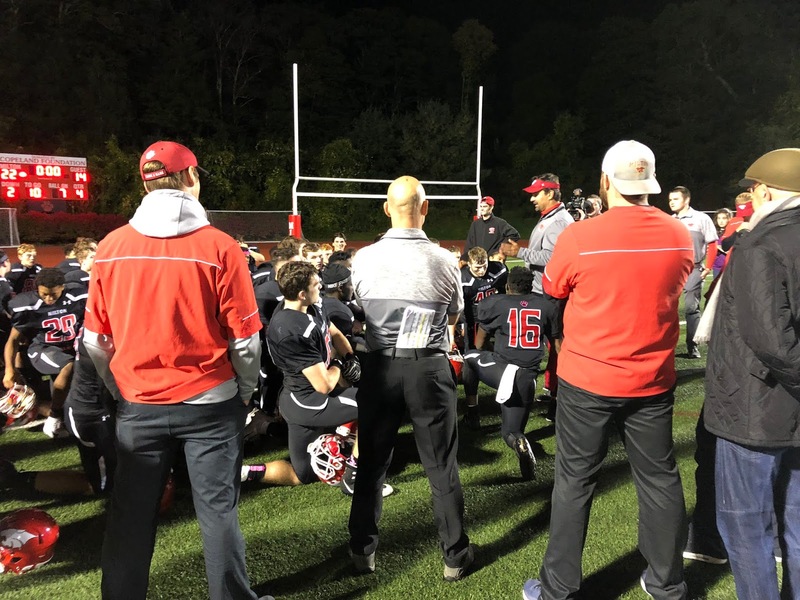 The Rockets remained down to begin the fourth quarter but instantly pulled back within a score as Smith hauled in a quick 10 yard out route and took off down the left sideline for a 74 yard touchdown to trim the deficit to 16-14. Milton, however, refused to be denied. On the Wildcats ensuing possession, Luke McMenamin found Woodley all alone for a 44-yard touchdown to push Milton’s lead back up to 22-14. The Wildcats missed the extra point, giving the Rockets a fighter’s chance. Taking over at their own 29-yard line with three minutes left, Ogletree wracked up six straight completions – including one to Smith for 11 yards - that moved Needham down to the six-yard line. A penalty and a rush for a loss backed the Rockets up, however, and on fourth down the Wildcats batted down a jump ball intended for Smith to seal the win. The Wildcats struck first on the opening drive of the game. On third down and six, McMenamin connected with a wide-open Isaiah Woodley for a 54-yard touchdown to give Milton a 6-0 lead. Needham jumped in front later in the quarter as Ogletree hit Smith on a back-shoulder throw for a four-yard touchdown to give Needham a 7-6 lead. The Rockets looked as though they had added some cushion prior to the end of the half when Ogletree connected with Odahri Hibberts on an 85 yard touchdown pass with 25 seconds left. The play was called dead, however, due to an illegal formation keeping Milton within a point going into halftime.